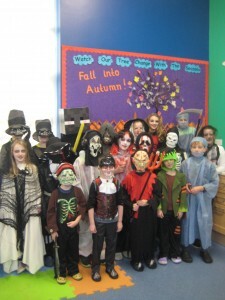 Check out our spooktacular Halloween costumes! 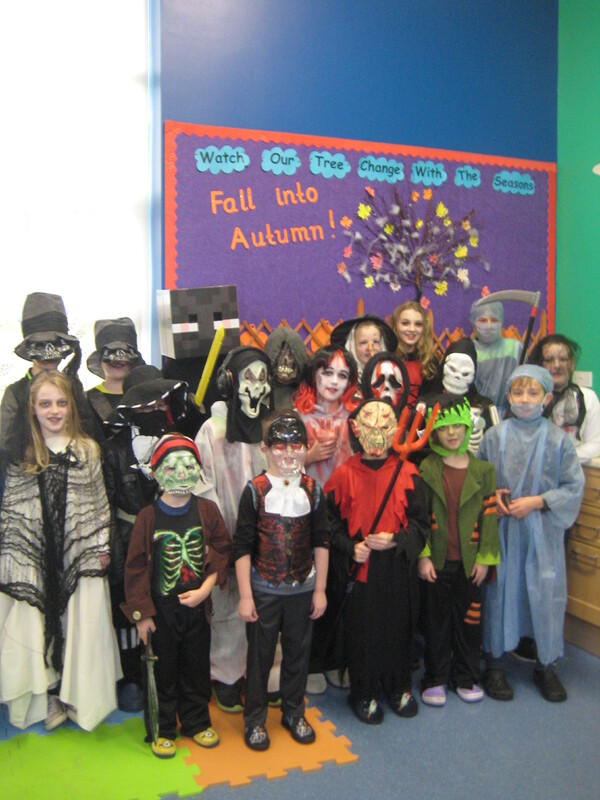 Wishing you all a very happy and safe Halloween from all at Glencorrib N.S. Over the last few months we have worked very hard in our school to live up to our reputation as “Best Kept School in Mayo” (Mayo Co. Co. 2013) by bringing a new lease of life to our playground and by also creating a wonderful new Sensory Garden. 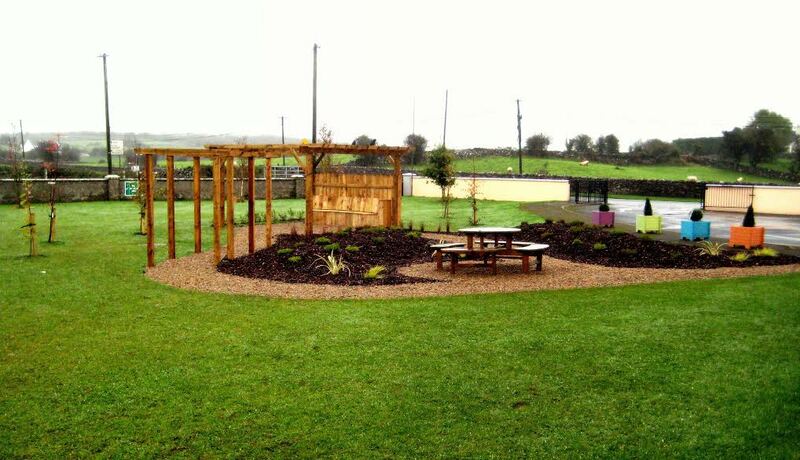 After painting works were completed over the summer period, work commenced on the creation of our Sensory Garden. We wanted to create a space where children could freely explore and discover the wonder of nature by using their senses. With the help of a landscape gardener, a design was brought to life and suitable shrubs and trees were planted. 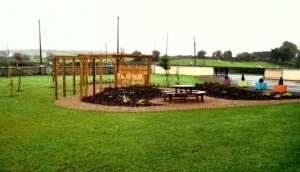 A local carpenter then fashioned a curved bench for under the gazebo. We are delighted with the results and we will be adding bird feeders, wind chimes and sun-catchers over the coming weeks to further enhance this space and to entice wildlife to our new garden! Once the garden was finished, we set to work on the playground, adding a basketball net, re-spraying the yard markings and installing a modern wooden bench. 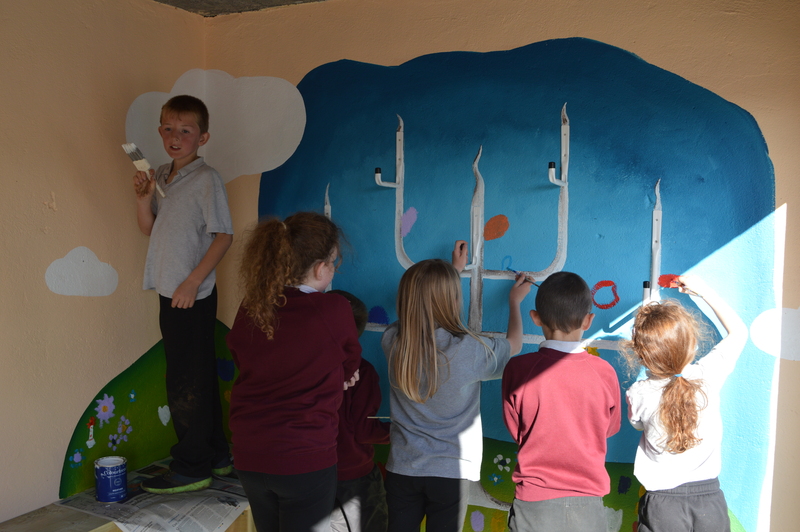 Then, with the help of the very talented artist, Lukasz Krzywon from Little Rainbow Academy, the school shelter and sheds were given a new lease of life with a 3D art fitting and spectacular mural! Lukasz took his inspiration for the 3D art work on the side of the sheds from a competition which we ran within the school. 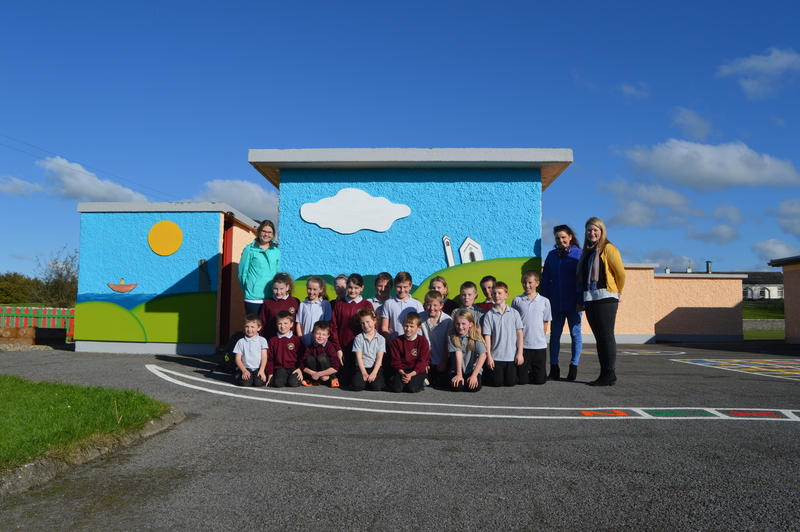 Many of the children’s paintings featured local landmarks and scenes such as Ballycurrin lighthouse, Lough Corrib and the Church- all of which can now be seen on the 3D Boards. 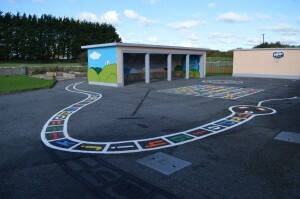 For the interactive mural “Mission Apollo Glencorrib” Lukasz cut discs for the children which they painted with images that represented their hobbies and likes. 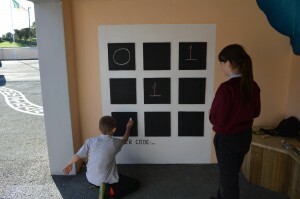 He spoke to the children about the message that was sent into space on golden plates on one of the Apollo project missions, and explained that this would be our message from Glencorrib NS! 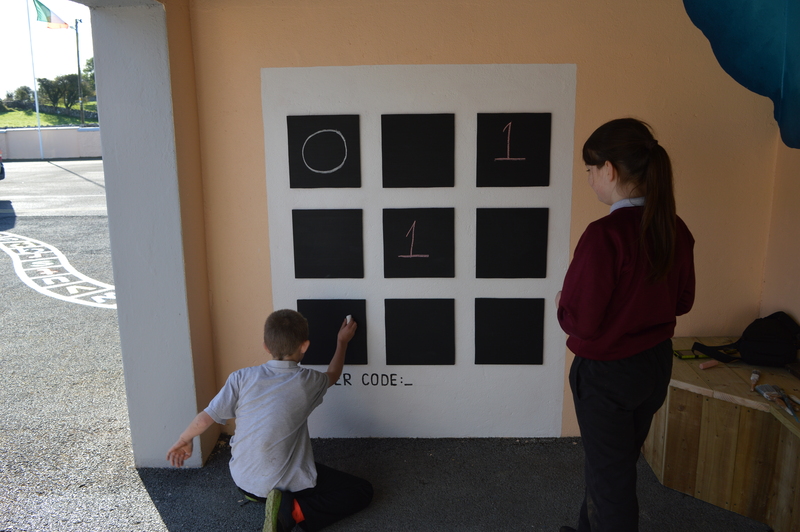 The mural was made interactive with the addition of a binary code game, to create the launch code for the rocket, and a tree (painted by the children) with 5 hooks attached for which the children cleverly came up with their own game. 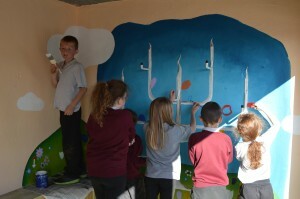 Creating the mural was an incredibly enjoyable experience for the children and our Apollo mission, we think you will agree, has successfully been accomplished! 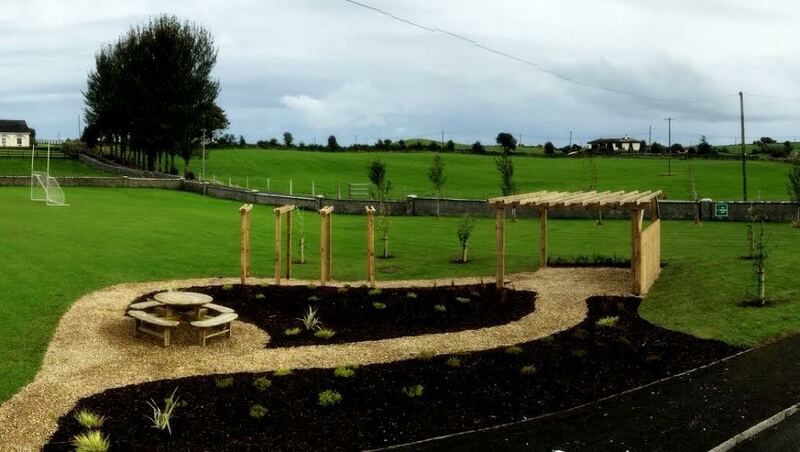 Check out some photos of our exciting new garden and playground..
A very big congratulations to Leah Toher on her fantastic success at the Connaught stages of the cross country racing in Sligo last Saturday. Leah came 8th in the 5th and 6th class race which is an amazing achievement. 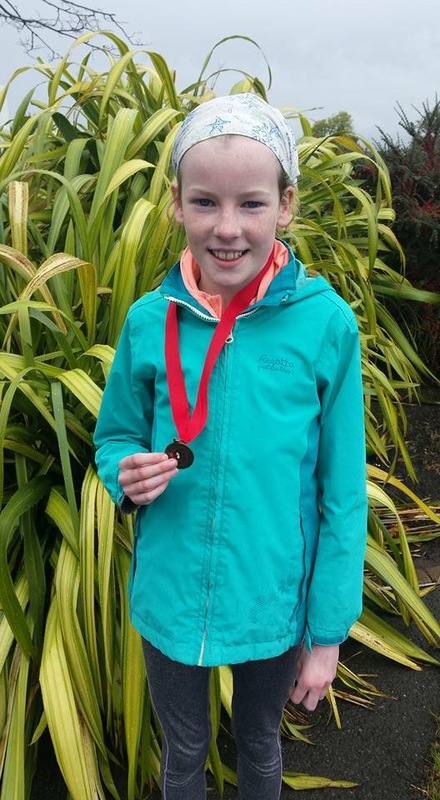 Leah is a wonderful athlete and we are all very proud of her here at Glencorrib N.S. Well done Leah!